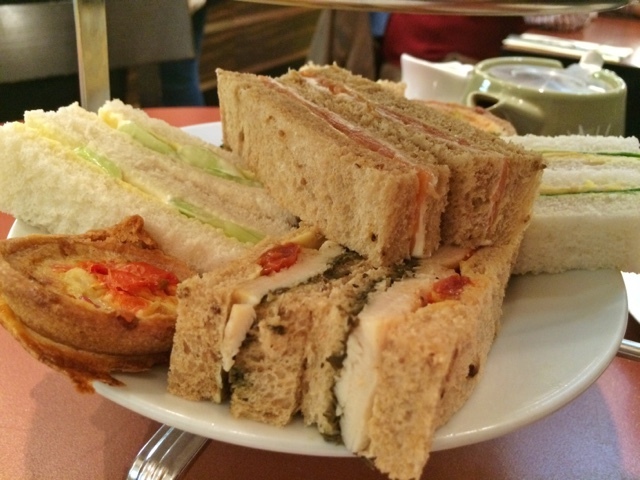 Known for their delicious and beautifully presented cakes, it was only a matter of time till Patisserie Valerie introduced their own afternoon tea. As my birthday present, I was kindly treated to afternoon tea for two by my lovely friends Meli and J (also known as Yummy Feed). 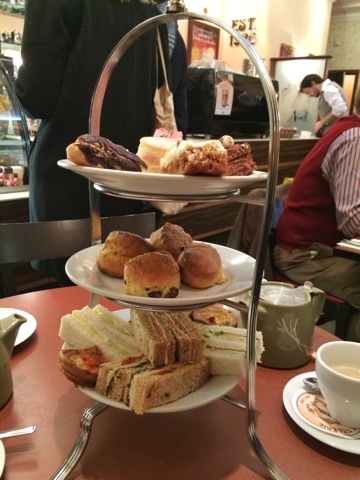 Wanting to be near the Lord Mayor's fireworks display, we chose to go to the branch in Covent Garden (80 Long Acre). It was incredibly busy and had to wait outside for 15-20 minutes, near smokers. 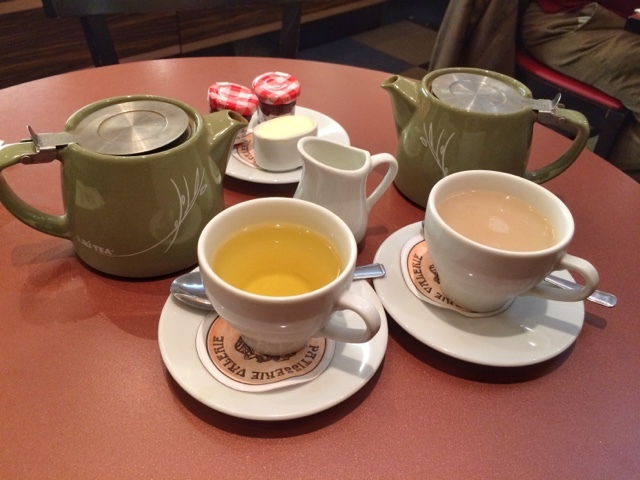 They seemed understaffed so our poor waiter was rushed off his feet from the moment he say us down till the end of our tea. It all arrived at once, making it harder to decide what to eat first. 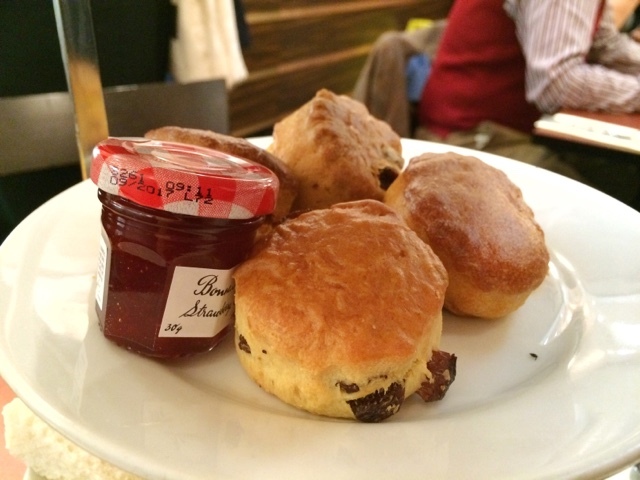 I started with the warm, mini plain scone with some strawberry jam. Yum! The mini quiches were good too, good combo of cheese to tomato. Having finished the savoury bites, we reached the sweet tier. The cakes were too sweet for our liking and became too much to finish. The chocolate cake slice was the best one but Ken liked the berry cheesecake as it was very light and not too sweet. There was a carrot cake and a Victoria sponge with no jam so not sure what cake you can call it.. 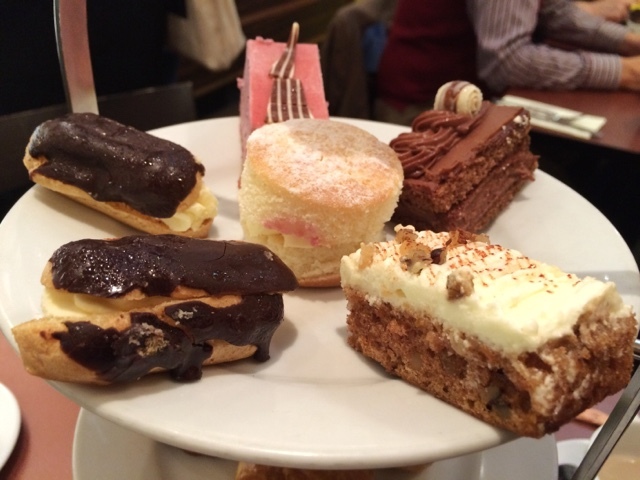 If you're looking for a spontaneous afternoon tea without a hefty price, you can always try Patisserie Valerie, as no bookings are required.